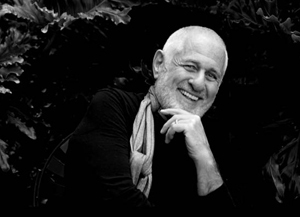 Richard Saul Wurman, founder of the TED Conferences and a self-described ¿information architect,¿ will visit Cal Poly Pomona on Wednesday, Jan. 11, for a conversation with Michael Woo, dean of the College of Environmental Design. The dialogue, which is open to the public, will take place from 5:30 to 6:30 p.m. in the Building 7 atrium. The TED (Technology/Entertainment/Design) Conferences began in 1984 when Wurman invited some of the world¿s foremost thinkers and doers to share their ideas. The inaugural event included demonstrations of the Sony compact disc and new 3D graphics from Lucasfilm, and mathematician Benoit Mandelbrot demonstrated how to map coastlines with his newly discovered fractals. Six years later, TED became an annual gathering, attracting speakers ranging from Bill Gates to Billy Graham to Bono. Wurman, who handed off TED¿s leadership reins in 2001 after turning 65, ¿understands that interesting things often don¿t happen in fields themselves, but in the grout between the tiles,¿ Larry Keeley, president of the strategic planning Doblin Group and TED speaker, said in a Fortune magazine interview. It is that insight that characterizes Wurman¿s career, which has followed a path carved by his restless curiosity and evolving interests: author, architect, urban planner, college dean (Cal Poly Pomona in 1978) and visionary. His current project, 19.20.21, is an effort to better comprehend the design and business challenges facing the world¿s megacities. Much of the public first became aware of Wurman in the 1980s with the publication of his Access Travel Guides to Los Angeles, New York, San Francisco and numerous other cities, which give users information in an easy-to-follow, intuitive way, using graphics and color-coded pages. ¿The Access books continue to be the first place I look for information before I travel for the first time to a city I don¿t know,¿ Woo says.